O ne thing that Judith Curry's blog has done is attract a number of newbies (well, at least new to Eli) with a number of questions that have simple answers once Eli takes a few days to think about them. It's not that your average climate blogging bunny does not know the answer, but rather that the explanation has to be on a level that the naive skeptic can grok. Grokking for anyone born after 1970 is understanding something at a soul deep level. I can’t believe that IR absorbtion directly heats the air, for it’s pretty transparent and close to an ideal gas. Absorption of a photon I thought merely bumped an electron from one orbital shell to another, raising the molecule’s potential energy not its kinetic (temperature). Just as winding a clock tightens its mainspring instead of warming the mechanism. That’s why there’s spectrometer lines……. There are important, in the sense that many have them, misconceptions here. First that the atmosphere is transparent in the IR. The atmosphere is transparent in the visible, but, there are many regions of the IR where absorption is high, including those regions where CO2 and H2O absorb. A handy dandy number to carry about is that at the surface the average distance light can travel in the CO2 spectral region is 10 meters (or about 35 feet for you unethical customary unit users). The second is the impression that the energy stays in the molecule that absorbs it, to be re-radiated later. This is not so, it is quickly degenerated to thermal motion (translation, zipping about) via collisions. This process is called thermalization and requires about a microsecond at atmospheric pressure. So where does the emission come from the bunnies ask? Well, there is a considerable amount of thermal energy at room temperature, and even much lower. True this average energy is low compared to even the lowest vibrational excitation of CO2 (which would be ~1000 K), but it is enough that a small, but significant fraction of the CO2 molecules are excited to levels which can emit in the IR (about 6% at room temperature). Think of CO2 as a turnstile through which energy passes from the ground to the atmosphere. A large crowd can pass through a few turnstiles. UPDATE: Upon reflection (and a pointed comment by one who does not wish to be named, always welcome at RR), this is even better than Eli thought. Having to go through turnstiles slows up rushing crowds. If the CO2 is playing the role of a turnstile, and the poor innocent photons have to get through a series of them it will really slow up the rate of emission to space. As promised here is a translation of Ottmar Edenhofer's interview with the Sueddeutscher Zeitung from November 20. As far as Eli can find, it exists only in German and only in print and as an Adobe Acrobat image at Prof. Edenhofer's web site. This is, as it were, the opening position for one of the Co-Chairs of the IPCC's WG III , and therefore worthy of notice. Sueddeutche Zeitung:Professor Edenhofer, you believe that Climate Summits such as will occur in Cancun at the end of November will less and less be less environmental conferences and increasingly be economic conferences. Why? Ottmar Edenhofer: We have to free ourselves from the illusion that climate issues are purely environmental policy ones. For many countries it is all about concrete economic interests by now. They are only indirectly concerned with problems like desertification or the melting of glaciers, because climate policy extends today into many political areas. One thing has become increasingly clear: In the near future climate policy could redistribute the world's wealth. OE: In the course of the 21st century it is not the fossil fuels that will become rare, it is the ability of the atmosphere to absorb additional greenhouse gases. We have more fossil fuel energy reserves in the ground than we can store in the atmosphere if we want to avoid dangerous climate change. That will not change because oil will run out. It will only lead to oil sands being used more and the liquidification of coal will become economical. A higher oil price therefore will lead to increased emissions. Further more coal will be used. And coal is relatively cheap and plentiful. You can turn and twist it as you wish: Climate policy has to make sure that the majority of the fossil reserves remain in the ground and are not used. Exactly that will diminish the income and wealth of the owners of oil and gas. SZ: How much can the atmosphere take? SZ: Countries rich in natural resources will hardly want to cooperate with this. OE: Until now the industrial countries have used the atmosphere cost free and ignored the negative implications. Those who have coal, oil and gas reserves will not be happy with an ambitious climate policy because they have profited from the cost free use of the atmosphere. However, every structural change since the industrial revolution has lead to a redistribution of wealth. OE: Since I put this obvious economic truth to paper in a book I have been constantly receiving mail from oil companies. But there won't only be losers. New shortages lead to innovation and innovators are the winners in the market economy. The stone age did not end because there was a shortage of stones, and similarly the era of fossil fuels will not end because of a shortage of reserves. It will be displaced by new technologies such as renewable energy sources. SZ: Effective climate protection requires an international agreement. How should that succeed. OE: Climate politics offers a chance for an ethical balancing of burdens. One much discussed possibility is to distribute emission rights on a per capita basis, so that at the end every person has the same right to use the atmosphere as any other. Africa, as well as India, would profit the most. It then comes down to insuring that the money is used to insures the development of these countries and not be given to corrupt elites. SZ: Those who control the resources will insist that the world buy their coal, gas and oil in order not to use them. OE: Could be, but that would be as if you paid a smoker to quit. That cannot be accomplished internationally. Climate policy has to be not only efficient but also just, otherwise it will fail. SZ: How long will the transformation into a CO2 free economy take? OE: Pretty long. The transformation will require almost the entire 21st century. We will be dependent for a long time on coal oil and gas. We should reach the high point of greenhouse gas emissions by 2020. Afterward the volume of emissions must decrease. Only near the end of the century will we have a CO2 free economy. We stand before a new, long structural change. SZ: The Copenhagen Summit failed because of the conflict between the industrial, the rapidly developing and the third world countries. The industrial countries carry a historical guilt because they are responsible for the majority of emissions to date. Don't they have to pay for this in the future? OE: The developing countries see it that way. But James Watt at the end of the 18th century had no idea that his discovery of the steam engine was the initiation of the greenhouse problem. Only since 1995 has it been clear of what we are risking with our economic model. You cannot hold the industrial countries responsible for what happened before then. What is clear though is that we are responsible for helping the developing countries reconstruct their economies. SZ: Will the community of nations achieve the breakthrough in Cancun? OE: Probably not. The positions have hardened. It is time to think about developing new models besides major climate conferences. Bilateral agreements between the EU and the rapidly developing countries for example, or even agreements below the national level. Why not, for example, the 30 largest megacities get together in a climate agreement. These should not serve as an excuse though, a global treaty is indispensable and is needed more every year. Professor Fenner’s views on the environment were not cheerful. Sheer numbers and the rapacious consumption of resources, he predicted glumly, would condemn the human species to the same fate as the smallpox virus. NZZ: Mr. Edenhofer, Everyone supports a reduction of emissions to protect the climate. You now talk about "dangerous reductions of emission". What are you talking about? Ottmar Edenhofer: Up till now prosperity and increased emissions of greenhouse gases went hand in had. Economic growth of one percent meant one percent higher emissions. It is burnt into our minds: To be rich you burn coal oil or gas. Therefore the developing countries are anxious about emission limits. OE: That's easy to say. However, above all the industrial countries have a system that is almost totally dependent on fossil energy. There is no historical example and no region of the world that has uncoupled its economic growth from greenhouse gas emissions. Thus you cannot expect that India or China will find it to be a great idea. And there is worse: We are in the middle of a coal renaissance, because oil and gas have become more expensive but not coal. Developing countries are building their cities and power stations for the next seventy years as if there will be no high price for CO2 emissions in the future. NZZ: What is new in your proposal for a global deal is the realization of how important development policies are for climate policies. Up until now many have considered developmental aid as charity. OE: That will change immediately when emission rights are distributed globally. If that is done on a per capita basis, then Africa is the big winner, and a lot of money will flow in. That has enormous consequences for developmental policies, and it will also pose the question of how those countries can sensibly handle so much money. OE: Basically it is an enormous error to discuss climate politics separately from the major themes of globalization. The Climate Summit in Cancun, at the end of the month is not a climate conference, but one of the most important economic conferences since World War II. Why? Because we have 11,000 gigatons of carbon stored in the coal reserves under our feet and we can at most shove 400 gigatons into the atmosphere if we want to hold to the 2 degree limit. 11,000 to 400 there is no way to avoid it, the major fraction of the fossil reserves must stay in the ground. NZZ: De facto that is an expropriation from the countries that have the reserves. That will lead to a completely different developmental policy than has up till now been the case. OE: Up till now it is the industrial counties that have seized the atmosphere from the global community. But it has to be clearly stated: Climate policy will de facto redistribute the world's economic wealth. That the holders of coal and oil reserves are not exactly pleased with this is obvious. We have to free ourselves from the illusion that climate politics is environmental politics. This has almost nothing to do with environmental issues, with problems like acid rain or the ozone hole. OE: There is much to be done concerning adaptation. And that extends far beyond classical developmental politics: In Africa climate change is going to bring a reduction in agricultural production. But that can be avoided if the efficiency of production is increased and above all, if African agriculture is integrated into the world economy. But for that to happen, a successful climate policy requires a new trade and finance politics. NZZ: The great misunderstanding of the UN Conference in Rio in 1992 is about to recur in climate politics. The developed nations talk about the environment, the developing countries about development. OE: It is even more complicated. In the eighties local environmental problems were a question of luxury for the developing countries. Those who are well off and drive cars, they can worry about acid rain. For China, it was all about how one could bring 600 million Chinese men and women into the middle class. If a coal burning power plant was built, or the social standards in the coal mines were low, that was irrelevant, - as it was for us in the nineteenth century. NZZ: But the world has become smaller. OE: Now there is something new: It is no longer about our luxuries only, our environment only. It is clear to the developing countries that the cause lies in the North and the consequences in the South. And in the industrial countries is clear, that to achieve the climate protection goal of two degrees neither technical solutions nor changes in living styles are sufficient. People in Europe have the grotesque delusion that buying in organic groceries or electric autos will solve the problem. That is arrogant, because the ecological footprint of our standard of living has increased in the past 30 years, inspite of the environmental movement. NZZ: You say, for a successful climate policy a great amount of international cooperation is needed, but that is exactly what we do not see. OE: I share your skepticism. But do we have an alternative? Currently there are three ideas about how one can get around such difficult cooperation. One can try dangerous experiments such as geo-engineering, one can concentrate on the construction of clean and safe energy sources, or one can trust to regional and local solution. There is however, no hint that any of these ideas will solve the problem. We must cooperate, just as such cooperation is necessary for the regulation of the financial markets. NZZ: But differently from the financial crisis, in climate politics a country has advantages when it does not work with the others. NZZ: Your new book contains much talk about ethics. Do they play a role in the climate negotiations? OE: Ethics always plays a role when it is about power. China and Latin America always say that the historical responsibility for climate change lies with the industrial countries. This responsibility cannot be denied, but it is also a strategic argument of those countries. I would take the responsibility for the time since 1995 because since then we know what causes the increasing greenhouse effect. To push back the responsibility to the industrial revolution is not ethically justified. NZZ: Can ethics be used to break the logjam? Tom Wigley guest posts on Brave New Climate asking what if we stopped emitting CO2 by 2050. Also an article in the NY Times about the consequences of sea level rise in Norfolk VA. Here, although the city is above sea level, in places it is barely, and small changes result in frequent flooding. This includes lunar tides. The sea does not have to rise very much for the costs to go pretty close to a hell of a lot, since many cities, and areas of cities are pretty close to sea level. 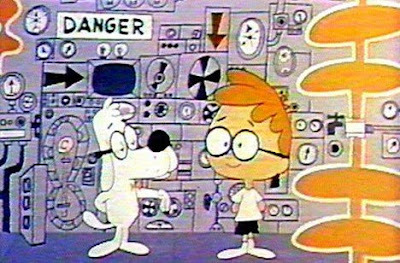 "We are not the bad guys. . . .
Of course Wegman is a bad guy, who else but a bad guy would have included that oh so cute "social network analysis" of Mann and his co-authors in a report to Congress supposedly about the statistical treatment of data in paleoclimate proxy reconstructions. It was a drive by in the best Mexican drug cartel style, and you can quote that to Judith Curry and Keith Kloor the queen and king of tutt tutt. So, what is out there in the great blogosphere. Well, a couple of things which deserve a lot more attention. First of all Rick Piltz of Climate Science Watch reports on the House Science Committee's one last rational climate science hearing. Rick's problem is that he is grown up and so he doesn't get a tenth of the readership he deserved. His report (and he was in the audience) is a complete one, and you can get an idea of Rick's skill from this excerpt. It’s not clear what the members get out of such an exchange. Some members have a tendency when listening to scientists giving opposing views at congresssional hearings to say something like “good, let’s hear the evidence, let’s examine both sides of the debate, and decide for ourselves.” As if a congressional hearing were an appropriate venue to study scientific issues, and as if the members (or any other non-specialists) were qualified to draw conclusions about climate science. Mostly, such an occasion is not about science so much as it is about confirming one’s preconceptions. Some might be confirmed in the view that Michaels is an outlier and provocateur, others that there is a big debate in the science community that precludes meaningful policymaking. But watching Santer have an opportunity to go after Michaels “on the record” was quite a moment to see live (from our vantage point in a back corner of the standing-room-only audience at the hearing). and he tells you where the meaty parts of the hearing video are. 1. They do not have to deny the basic physical laws which dictate that greenhouse gases cause warming. 2. They do not have to refute the massive physical evidence that the climate is warming. 3. They do not have to pretend that the vast majority of scientists who accept the theory of AGW are participating in a vast conspiracy to hide the truth about (1) and (2). The lukewarmist position also allows one to position oneself as a moderate threading the needle between two extremes. The real contrast here is not between "activists" and "skeptics" but between deniers and everybody else – between the science and the right-wing lunacy. But lukewarmers are exploiting the shift in the Overton window brought about by voluble climate deniers to position their radical views as a sane middle ground. Here's the problem. Lukewarmism doesn't get its adherents where they want to go – because even if we accept at face value their claims, the world would still require intense efforts to reduce the emissions of greenhouse gases in order to stave off disaster. Eli is quite fond of the Overton window, esp. as he thinks that the Rabett introduced it to the climate discussion. In a continuation, Idiot Tracker discusses the limits of lukewarmerism, or the fact that even if they choose an unreasonably low central limit for climate sensitivity, they have to pick a confidence interval, except that for reasons made clear at the Tracker site, they can't, not and remain lukewarm. But, but, dear bunnies, we do have to have something off color. You know the sort of thing that brings a little dinner up with the disgust, and friend Lubos provides it with a full blown rant on Tawanda Johnson, the APS Press Secretary who responded to his emertius Hal Lewis . Now true, Steve Milloy has reposted it. And true, Lubos' post is, is well, kinda early Strom Thurmond, and true, it makes no sense, but it will be very useful the next time Keith and Judy start tutting which Ethon reminds Eli is now. The first rule is when in a hole, stop digging. Ed Wegman could use instruction. As John Mashey pointed out in the comments, Ed gave Dan Vergano some additional information. A 2007 presentation at GMU by one of the report's authors, Yasmin Said, says that an energy committee staffer, Peter Spencer, sent the report authors, "daunting amount of material" over the nine months of its composition. Wegman says that Said's presentation description is "not true" and that Spencer only sent 11 scientific studies, two chapters of Intergovernmental Panel on Climate Change reports and a PowerPoint presentation by climate statistics critics Stephen McIntyre and economist Ross McKitrick of Canada's University of Guelph. Unlike universities, Congress does not appear to to have particular ethical standards . . .
. . . .for scholars submitting reports to its committees, such as the Wegman report's 2006 release. "I don't see any reason why the standards for Congress would be lower than those for an academic institution," says Liz Wager of the London-based Committee on Publication Ethics, which acts as a global forum for editors and publishers to maintain ethical standards in scientific publications. Eli expects some comments on that last one. But, is John Mashey Ed Wegman's Steve McIntyre? Is Deep Climate Ross McKitrick's elder brother? All named individuals recoil at the thoughts. Dan Vergano has shaken loose a response from Edward Wegman. "these attacks are unprecedented in my 42 years as an academic and scholar." "We are not the bad guys. … We have never intended that our Congressional testimony was intended to take intellectual credit" for other scholars' work. Wegman said he and his report co-authors felt "some pressure" from a House committee to complete the report "faster than we might like." But he denied that there was any attempt to tilt the influential climate report politically. This is getting close to the bone. So, Mr. Limbaugh; you didn’t enjoy your drive of our 2011 Car of the Year, the Chevrolet Volt? Assuming you’ve been anywhere near the biggest automotive technological breakthrough since … I don’t know, maybe the self-starter, could you even find your way to the front seat? Or are you happy attacking a car that you’ve never even seen in person? Sure, Toyota designed and built the Prius on its own, and no doubt lost billions of yen probably well into the second generation. Do you think Toyota did this without any Japanese government help? Thanks to the recently unbridled ability of American and foreign big business to contribute unhindered to their favorite politicians – both Democratic and Republican — you don’t need to worry about rampant left-wing policy coming out of Washington any time soon. You’ve made two king’s ransoms by convincing legions of dittoheads to tune into you every day. I wonder, do you ever ride in anything that’s not German or Anglo-Saxon? Do you have any idea how powerful IG Metal is, and of the size of Germany’s social safety net? The comments are worth the price of admission alone. This is perhaps a great deal more US centric than the previous posts in this series, but, as the saying goes, the US is the center of the universe, at least for Americans (and if you give Eli the nonsense USAans, Eli will spit back Bundesrepulik Deutscher, etc. at you. We hosied the name fair and square). It turns out that at most US national labs, civil servants are not the majority of the scientists, let alone the staff. That stuff has been contracted out. Later, Rabett Run will discuss the case where lab management has been put out to the highest bidder and pretty much no one works directly for the federal government (most DOE labs, JPL, etc. ), but here Eli is talking about how many are hired on contracts with universities and private corporations, but work full time at government facilities alongside civil servants. 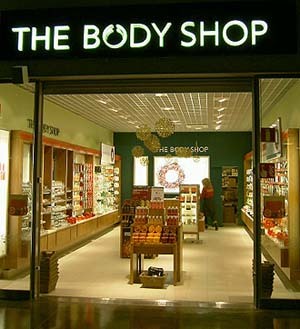 The body shop zombies do get paid, but the advantage to the government is that there is no pension or health care liability and job security is a myth. Postdocs most usually fall into this category also, often being paid not by the government but through an eminent organization or university. A principle difference with research faculty is that the zombies most often work on assigned projects under the supervision of civil servants. It is not uncommon (e.g. Eli knows of cases where) the substantial majority of people working at a Federal Lab, under government management, are contractors. One way to spot this is to look at the affiliations of authors publishing from a national lab. The career track then becomes post-doc, zombie, civil servant, with attrition at each step, and, of course, the university gets the off campus F&A (indirect cost) rate. There are amusing rules, for example, who can use the exercise facility and the day care. Often not the contractors. But in response to a request for materials related to the report, GMU said it "does not have access to the information." Separately in that response, Wegman said his "email was downloaded to my notebook computer and was erased from the GMU mail server," and he would not disclose any report communications or materials because the "work was done offsite," aside from one meeting with Spencer. Spencer in this case is Peter Spencer an assistant to Joe Barton. Eli has been lead to believe that John Mashey will be releasing another data dump soon. Stay tuned. JSE is absolutely serious, containing much work with carefully-done charts, formulae, statistics. [Must have gotten one of them from the Wegman group. Eli understands they may be looking for work] It is not the Journal of Irreproducible Results. To be fair, one must of course sample, as I do occasionally whenever I need a break. Since this started with HWQDAJ's use of Deming as a reliable source, I thought I would search for "Deming" and use that issue a fair sample. Deming was a moderately-frequent contributor in 2004-2005, with a burst of 3 articles, of which the first two are discussed here. 18:2 Can A Single Bubble Sink a Ship? 2004. "The first popular expositor of anomalies was Charles Fort (1874-1932). Fort's seminal publication, The Book of the Damned, was first published in 1919. The title refers to those phenomena that science has damned by virtue of their failure to fit into predetermined modes of thinking and understanding the world. Properly understood, Fort was a forerunner to Thomas Kuhn (1922-1996)." "Kuhn (1996) argued that anomalies are the source of all scientific breakthroughs: Discovery commences with the awareness of anomaly . . . (p. 52) Unfortunately, very little of Kuhn's message has penetrated into the witless technicians who pass today for scientists." OK, got that, although I suspect Kuhn might not have been pleased to be compared to Fort. 18:4 The Hum: An Anomalous Sound Heard Around the World. A: Maybe some people hear electromagnetic radiation. I have no expertise in this topic so cannot comment. But below I will examine others that I have studied more. 19:2 This is the issue HWQDAJ relied on, worth investigating as a fair sample. This is a straightforward, competent debunk of papers claiming electromagnetic influences on crop circles, by members of the Italian equivalent of CSI(COP). OK.
One author is affiliated with: Division of Personality Studies, Department of Psychiatric Medicine University of Virginia Health System, possibly a source of comfort to those in VA.
insensitivity to pain, and other behaviors unusual in Burma, but typical of Japanese people, especially Japanese soldiers during their occupation of Myanmar ." "The word reincarnation is applicable here, although this term is difficult to define in behavioral terms." This is by Bruce S.
"Abstract-During the last 30 years I have made several attempts to publish UFO-related articles in conventional science journals. Most of my papers or letters have been rejected. However, quite by luck, in my opinion, I was able to publish two short articles concerning the New Zealand sightings of December 1978 in the journal Applied Optics. This paper presents the story behind the publications." Paradigm-ridden editors like those at Nature have refused for 30 years to recognize his work. He recounts his one success and remains hopeful. PEAR Future notes that "members of the PEAR staff have served as officers or councilors of the Society for Scientific Exploration (SSE). It also publishes the archival peer-reviewed Journal of Scientific Exploration." (O ye of little faith, the PEAR guys say JSE is pear-reviewed. SO THERE.) After spending $Ms and ~30 years in search of human ability to influence the real world, PEAR finally shut down, the key people having declared victory and gone home. This 50-page article extols its methods and achievements (which involve doing vast numbers of experiments and interpreting minuscule statistical noise as important signal) and laments its passing, a reaction opposite to those of many at Princeton. Finally, we come to Deming's key work, quoted by HWQDAJ, although to be fair it was also heavily cited by McKitrick and then McIntyre & McKitrick in 2005. Possibly there is a connection. Search for Deming in Strange Science in the Wegman Report. "Abstract-Michael Crichton's book State of Fear addresses the politicization of science, in particular the topics of climate change and global warming, through the vehicle of a novel. In the author's opinion, Crichton is correct: the field of climate research has become highly politicized. An example is provided by the revisionist efforts of some researchers to extinguish the existence of a Medieval Warm Period. The politicization of science is a threat to the process of free inquiry necessary for human progress." "Michael Crichton's State of Fear is an exciting and well-written fictional thriller. But the book is really about how we do science." Ahh, I had not realized that last. Well, there you have it. The PEAR people say JSE is peer-reviewed. I am not sure how item #1 was allowed in, but I guess, if you are going to do good debunks of crop circle fantasies, not many journals are available. Otherwise, in one issue we have 2.reincarnation, 3.UFOs, 4. ESP research and 4. Deming. Nature has an editorial on the Climategate anniversary to add to its recent profile of Phil Jones. For critics of CRU and their, sometimes legitimate, complaints about data access to be taken seriously, they must be more specific about who should be more open with what, and address their concerns at the correct target. It remains the case that many of the data used by CRU scientists are covered by agreements that prevent their wider distribution. This is not ideal, but it is hardly the fault of the CRU researchers — even if they did seem reluctant to share. This is an extraordinary thing to say. Jones et al 1990 was published in Nature. Nature requires authors to make data available on request. How can they argue that it was restricted by confidentiality agreements? As a condition of publication authors are required to make materials and methods used freely available to academic researchers for their own use. Nature requests authors to deposit sequence and x-ray crystallography data in the databases that exist for this purpose. Oh yes, the good clergy appears to have deposited Eli's comment directly into the memory hole, but one may always hope for resurrection. An inherent principle of publication is that others should be able to replicate and build upon the authors' published claims. Therefore, a condition of publication in a Nature journal is that authors are required to make materials, data and associated protocols promptly available to readers without undue qualifications in material transfer agreements. Any restrictions on the availability of materials or information must be disclosed to the editors at the time of submission. Any restrictions must also be disclosed in the submitted manuscript, including details of how readers can obtain materials and information. If materials are to be distributed by a for-profit company, this must be stated in the paper. UPDATE: Eli generally stays away from politics at Rabett Run, but this Whitehouse Whiteboard by Austin Goolsbee, the Chairman of the US Council of Economic Advisers, does mention the Chevy Bolt Volt at the end. More seriously, this is the sort of thing that we need to explain climate change. "This is a fully developed vehicle with seamlessly integrated systems and software, a real car that provides a unique driving experience. And commuters may never need to buy gas!" . . . . While it is entirely possible that a consumer able to use the Volt in pure EV mode most of the time could use no more than a tank of gas-9.3 gallons-a year (because as noted earlier the car will automatically start the internal-combustion engine at regular intervals to keep the fuel system functional and the gas fresh), it is not a perpetual-motion machine. It requires energy to move. Our testing showed that, in EV mode, the Volt uses energy at the rate 32.0 kW-hr/100 miles or a notional 105 mpg (based on the EPA calculation that a gallon of gas contains 33.7 kW-hr of energy). The internal-combustion engine sips gas at the rate of about 40 mpg. The more we think about the Volt, the more convinced we are this vehicle represents a real breakthrough. The genius of the Volt's powertrain is that it is actually capable of operating as a pure EV, a series hybrid, or as a parallel hybrid to deliver the best possible efficiency, depending on your duty cycle. For want of a better technical descriptor, this is world's first intelligent hybrid. And the investment in the technology that drives this car is also an investment in the long-term future of automaking in America. Eli has been explaining why tenure track faculty go searching for grant support but, as ferocious as that search is, if grants are pork chops, wolves are research faculty. Universities give research faculty hunting licenses for grants and contracts without providing any guarantee of support. Why you ask, well, among other things, universities get indirect (aka Facilities and Administrative) costs, about 50% of the direct costs less instrumentation and tuition. Departments like research faculty because they get a share of the F&A, as well as having a larger number of skilled folk around and more people to build a larger graduate program. It is not uncommon to have about the same number of Research and Tenure Track faculty in larger departments, and that is one reason they are larger. Research faculty are driven to submitting multiple grant applications each year and for the most part need to get funding from several grants. Since most grants are funded for three years, research faculty want to have one grant per year coming up for refunding. Increasingly they are chopping up proposals so that multiple people are supported for small percentages, spreading the risk. What this has lead to is a sharp decline in the quality of proposals and an increase in the number of submissions, simply because so many must be submitted each year. Following on to the first post of this eagerly awaited series, Eli moves the subject of faculty workload. The Rabett is not whining, but he is discussing motivation for the pursuit of grants. This is a US centric post, but there are comparable issues everywhere, which is what comments are made for. That's right bunnies, yrs truly either hustles up an additional third of his salary, or endures a certain disdain from Ms. Rabett. There are three ways of doing this, teach summer courses, a death march, given the short summer terms and the amount of material to be taught**, find grant salary support or seek a summer research position at a national laboratory with 10K other faculty. Failing that, one can work for free, become a greeter at WalMart or go sit on the beach. The casual reader may think that bright, expert Rabetts can charge what they are worth for summer salary, but alas, that is not so. First, the Feds only pay at the same rate that the Uni pays you during the academic year. This goes by the name of the Institutional Base Salary, aka IBS. Second, Rabetts can only claim summer salary for time Eli is actually working, so vacations can't be charged for (some, not Eli, honor this in the breech until they are caught). Granting agencies frown on paying more than a month, so at least two grants are needed. Charge 100% of the time for a month to a grant, and Eli can't (at least in theory) work on anything else, so the safest thing is to have two or three grants (Eli wishes) and proportionally charge each over the entire summer leaving 5% or so uncovered so to write more proposals or go to the can. Others are saying, well, why not go naked during the summer. This is allowed on certain beaches, and may be possible at the best research universities, but for someone not working at a top 50 place, nine month IBS's for Professors can be less than 100K, often much less, and salaries for Assistant and even Associate Professors can be, well, let's say, not very much, even at the top fifty places. Which brings us to the academic year. Academic year workloads depend on where. Research university faculty tend to teach one course a semester (1+ 1) or even less. They also tend to have graduate student teaching assistants. OTOH they are expected to bring in grants that support their graduate students and post-docs as well as pay overhead (now called F&A for facilities and administrative costs). More on that later. Faculty at comprehensive, or teaching institutions typically have workloads of 2+2, 3+2 or even 3+3, which translates as the number of courses taught each semester. In general each course has three weekly contact hours. One can explicitly buy out of teaching responsibility through grants. This does not increase annual salary, but rather changes the mix of responsibility (e.g. instead of teaching 2+2 if you got 50% of salary from grants, you would teach 1+1). However, someone bringing in a significant amount of grant funding, will, in general, have a lower teaching load, and if done long enough, the IBS will increase in the next year, etc. Now, 2+2 or 3+2 may not seem much to a K-12 teacher but that does not include research and advising research students. Add research on to such a load, especially when you are competing with folk at the research universities for funding, and the workload avalanches. **Eli's department refuses to teach Physical Chemistry during the summer, because it is unreasonable to expect that students will assimilate the material in the short six week summer semesters. We have experimental proof. 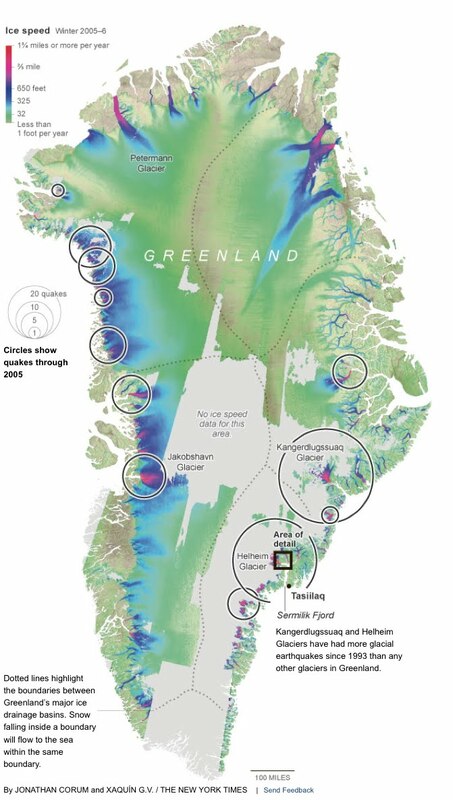 Two seismologists, Meredith Nettles and Göran Ekström of Columbia University, discovered a few years ago that unusual earthquakes were emanating from the Greenland glaciers as they dumped the extra ice into the sea. “It’s remarkable that an iceberg can do this, but when that loss of ice occurs, it does generate a signal that sets up a vibration that you can record all across the globe,” Dr. Nettles said in an interview in Greenland. Analyzing past records, they discovered that these quakes had increased severalfold from the level of the early 1990s, a sign of how fast the ice is changing. and sea level rise say worry a lot. So what we have is a lot of observations, models and understanding against one guys gut feeling. Whom should Eli believe, remember this is about betting the bunnies. For various reasons Eli has been thinking about aerosols and how the mid-century cooling is attributed to them. Now the Bunny has also been consorting with a bunch of acid rain and regional forcasting types and the thought occurred that maybe we have a case here of the urban cooling effect. To make a long story short, and this is really a WAGNER (wild assed guess, no explanation required) what if the large amounts of SO2 injected into the northern hemisphere atmosphere by WWII and the unrestrained coal burning (see London, smog) produced huge amounts of sulfate aerosol which shadowed and cooled downwind rural measurement sites. Sulfate aerosol gets rained out pretty quick, so the range would not be global. This would mean that the dip between 1940 and 1970 was in a sense an artifact, the UCE. The figure at the left from GISS shows that the cooling was a northern hemisphere thing. Warming in the tropics and the southern hemisphere has been quite steady, even though there are plenty of aerosols there (although they are different, the major sources in the SH being sea spray and in the tropics sand from the Sahara as well as agricultural burning in Brazil and Africa. Thank you for the clarification. I would think that the probability of delusional rule gets smaller as more people have a say in policy making. . .
Not so, if the majority are delusional or misled. If the majority has a counter-reality view of the world on an issue, a flipped coin might make better policy decisions on it. There is no doubt that democracies make mistakes. A quick glance at history suggests that disastrous mistakes are more likely in autocracies -- even if many autocrats started with the best of intentions. I'm sure that you agree (correct me if you don't) that the science behind the theory of anthropogenic induced climate change is a long one, and very well established (I can hear the cries of indignance from those in denial about AGW/ACC already), and borne out by multiple, independent data sets and consilience. Now, that integrated knowledge does not constitute a dogma, nor does defending the science against an onslaught of distortion , misinformation and personal attacks. At least it is not a "dogma" to reasonable, rational and informed (on the actual climate science) people. Why have you elected to frame (and fabricate) the "debate" in such a (ludicrous) way so as to make it impossible for someone to defend any aspect of the theory of AGW/ACC or climate science in general without being accused of defending an alleged "dogma"? You need to choose your words and narrative much, much more carefully if you expect people to believe that you are being sincere. Now your incoherence and ambiguity places you in an interesting/awkward position, because now you can never defend the climate science or your peers in the climate field who (like you) know AGW/ACC is a concern without being accused of defending the alleged "dogma"-- at least by many readers here. I will be watching for interest to see whether anyone accuses you of that should you decide to defend the climate science or IPCC at some point. Moreover, it seems that in your model, Singer, Michaels et al. can distort and misrepresent the data and science at will and also malign scientists, and do whatever it takes to defend their very real "dogma"/ideology without so much as a word of critique from you or your fan base? And when the science is repeatedly attacked by some of your friends (e.g., Michaels), and even people on your own blog, you are deathly silent-- heck, you even give them a pat on the back. Worse yet, when the scientists have the audacity (sarc) to stand up to the repeated attacks and to defend the integrity of the science, they are accused by you (a scientist) of defending the alleged IPCC "dogma". This startling asymmetry (and hypocrisy on your part) flies in the face of your claims of honest intentions and sincerity. Sure critique the IPCC and let us improve and advance the science, your peers are all for that (really), but you are not going to achieve anything this way. While we are counting how many angels can dance on a pinhead, nit pick, bicker, muse about hypotheticals and indulge your and your cohorts' sophistry-- GHG emissions continue to escalate. Or is that exactly what you want? It is lost on you that your efforts are largely redundant, especially after the recommendations put forth by the AIC review and others. You know that, so why keep fabricating debate, fabricating controversy and sicking misguided and misinformed people on your peers? Now this would all be bad enough, but then you have the gall to claim to be a mediator and to have the betterment of science at heart. How are these inane and clearly mendacious tactics meant to facilitate "building bridges" or constructive dialogue? These are anything but felicitous actions on your part. PS: There are some questions above, I would appreciate some direct and unambiguous answers not from your fan base, not Mosher-- you please. You framed the argument. You have made the assertions. You engaged in innuendo, insinuations and dog-whistling...now you need to answer to it." Perhaps a more appropriate title might have been "Ending the assault on science and scientists by "skeptics"". Anyhow, that brings me to the point of this post. As you know there are already musing about holding McCarthy-like interrogations of climate scientists by Republicans and Tea Party ideologues. These are indeed scary times, although your actions of late may have saved you experiencing the wrath of Barton and Inhofe. Time will tell. You volunteered recently that you have been contacted by a politician/s. You allowed Mosher to post an (illegally obtained) email. So now I am going to ask you, very nicely, in the spirit of transparency and openness, to post a legally obtained email (or emails) that you received from the politician/s. Feel free to obfuscate their details, and name their name/s. Many of your readers here have been demanding investigations against climate scientists, so your position on such is pertinent. So your role in these developments is relevant and should be a matter for the public record given what is at stake and given that tax payers money will be used to fund any such interrogations. 1) Do you condone plans by Republicans and Tea Party representatives to launch investigations against climate scientists? 2) If yes, do you plan to do to prominently condemn such actions and what do you intend to do prevent them from happening? 3) If no. Why so? 4) If no. Do you plan to assist in any way the people launching and executing the investigations against your peers? 5) If such interrogations go ahead, do you agree that they should include interrogations/cross examination of climate scientists from both the “skeptical” (e.g., Christy, Spencer, Lindzen) and the “warmist” sides? If such a horrid inquisition does go ahead, it will not herald the end of the war, if anything it will just make matters much, much worse. I fear the likes of Inhofe will only be content when a "warmist" climate scientist is physically hurt or worse. Again, I am interested only in your position on this. Thank you." please, please oblige him Keith. Despite what he may think he has to offer, his signal/noise is just way to counterproductive to normal adult conversation. There are lots of other places on the web where he can indulge in his content-free trolling…. What Marlowe said. MT is about the nicest person you could meet. His hallmark over the fifteen or so years that I have been aware of him is a seriousness and his willingness to listen, always, to consider another point of view (note, consider not adopt). As a result Michael can, and often is jerked around by the sophists, but no one is perfect. Tom Fuller and Co. have been conducting a jihad against Michael. Why, because MT exposes the Fuller and his friends emptiness. Recently, as Tobis has become more prominent, the drive bys have increased. Ignoring the question of whether Ethon still flies or has retired to the old bird home (the answer to Keith's question, of course, is Willie Sutton, when Roger stops being petty, silly and self promoting, why then Eli will stop commenting on his pettiness, silliness and self promotion. Eli suspects he will be around for a long time, but that is another post) allow Eli to throw another issue upon the table. Since we are communicating via moderation, moderation in all things including moderation being a virtue, Eli would ask Keith to consider why Michael has been the subject of vicious and sneaky attacks within the last year by Roger Pielke Jr., Richard Tol, Marc Morano, and yes, last but least, Tom Fuller. They, and apparently you, sense a threat to the narrative under construction. Implying an equivalence between Gore, who is constantly treading a fine line between effective politics and truthful description of risks, and George Will, who is wrong from beginning to end in conception, detail and emphasis is unacceptable because it perpetuates this dangerous skew. As for the scope of the ethical risk, let us consider the possibility that the behavior of the Times and the Post this year increases the chance of an extreme event with a premature mortality of a billion people by a mere part per million, a per cent of a per cent of a per cent. The expected mortality from this is a thousand people. Is that morally equivalent to actually killing a thousand people? It's not all that obvious to me that it isn't. In practice one can and must excuse oneself behind all the myriad realistic uncertainties. We don't know, after all, which butterfly will cause the hurricane. Most likely if we do find our way to hell, we will have trodden on many good intentions along the way. But the point is that we really are playing with fire here and we shouldn't be putting our own careers or our own self-worth (like a clever and easy column for the Times) ahead of the enormous scope of the problem, because mortalities on the order of a billion are by no means excluded. What is it about Michael Tobis that scares the denialist propaganda mills? and don't miss "why you should fall to your knees and worship a librarian"
People become librarians because they know too much. Their knowledge extends beyond mere categories. They cannot be confined to disciplines. Librarians are all-knowing and all-seeing. They bring order to chaos. They bring wisdom and culture to the masses. They preserve every aspect of human knowledge. Librarians rule. And they will kick the crap out of anyone who says otherwise.